Sentosa Leisure Management Pte Ltd and its partner, GMM Tai Hub Co. Ltd, have unveiled plans for an exciting new property development at Sentosa’s Spooktacular Village – Laddaland. This October, all 40,000 square metres of Fort Siloso will be redeveloped into Laddaland, a prime leasehold property, and promises a heart-stopping lifestyle for adrenaline junkies. Situated along the coast of Sentosa, Fort Siloso is known for its rich background; from serving as Singapore’s coastal defence in the 1880s, to being a prison camp during the Japanese Occupation of World War II. Its historical background makes it an ideal location to stage an immersive real-life haunted village experience. Located minutes from mainland Singapore, the Spooktacular Village is easily accessible by the Sentosa Express. The premier Thai horror moviemaker GTH will be introducing new features to the development. The entire Laddaland development will be immersed in a veil of horror, based on GTH’s international horror hits such as Laddaland, Alone, Countdown and their upcoming production, The Swimmers. Visitors can choose their preferred neighbourhoods and horror pathways as they tread through 20 – 30 minutes of prolonged fear and suspense. With elements from the movies infused into various parts of the haunted Laddaland at Sentosa’s Spooktacular Village, one can expect a concoction of Asian horror folklore and out-of-this-world experiences that will arrest all human senses. “With our expertise of breathing life into movie sets, coupled with the enhanced understanding of creating horror sets using a natural setting like Fort Siloso, we are confident that Laddaland and its extended features will be a home which is highly sought after by thrill-seekers and fun-lovers, which we have identified as a big segment for this project.” --- Mr. Yongyoot Thongkongtoon, Senior Director of International Business for GTH. In addition to the attractive features, Laddaland has a unique price model. Units are priced from $56.60 and have a special five-hour lease. They are expected to sell out fast, so interested parties are encouraged to make their bookings quickly. For more information, check out the Sentosa Spooktacular website (www.spooktacular.com.sg) and Facebook page (www.facebook.com/sentosa.spooktacular), where fear-enthusiasts can join in the showroom tour of what lurks in Laddaland. 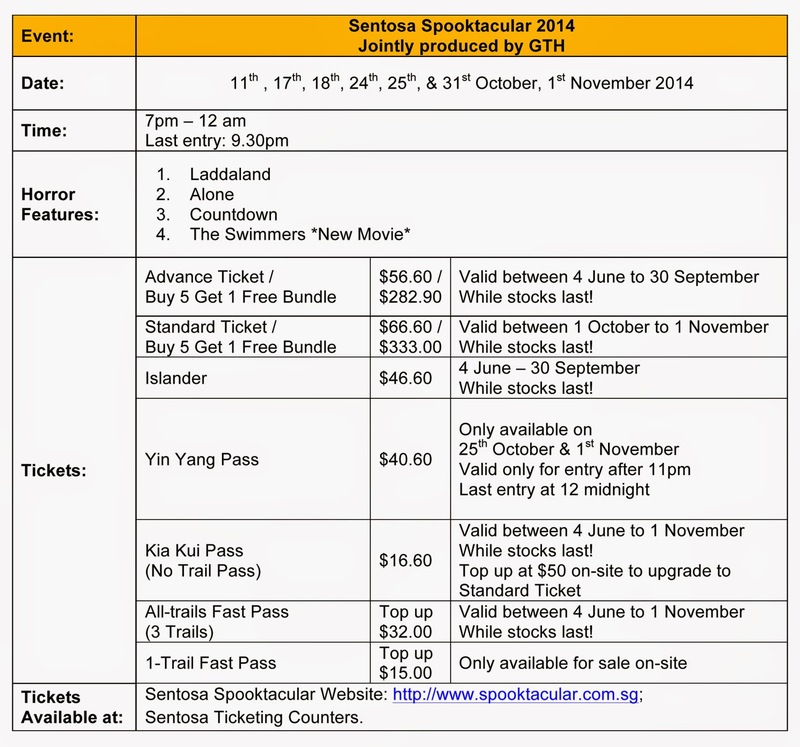 Tickets can be purchased from the Spooktacular website (www.spooktacular.com.sg), or from Sentosa ticketing counters.